Documentary series. This World reveals evidence that challenges the accepted story of one of the most horrifying events of the late 20th century, the Rwandan genocide. 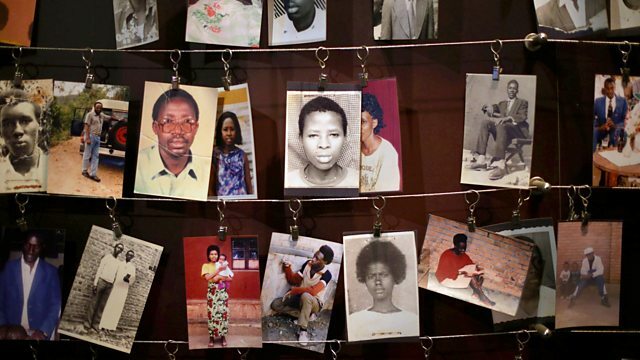 Twenty years on from the Rwandan genocide, This World reveals evidence that challenges the accepted story of one of the most horrifying events of the late 20th century. The current president of Rwanda, Paul Kagame, has long been portrayed as the man who brought an end to the killing and rescued his country from oblivion. Now there are increasing questions about the role of Kagame's Rwandan Patriotic Front forces in the dark days of 1994 and in the 20 years since. The film investigates evidence of Kagame's role in the shooting down of the presidential plane that sparked the killings in 1994 and questions his claims to have ended the genocide. It also examines claims of war crimes committed by Kagame's forces and their allies in the wars in the Democratic Republic of Congo and allegations of human rights abuses in today's Rwanda. Former close associates from within Kagame's inner circle and government speak out from hiding abroad. They present a very different portrait of a man who is often hailed as presiding over a model African state. Rwanda's economic miracle and apparent ethnic harmony has led to the country being one of the biggest recipients of aid from the UK. Former prime minister Tony Blair is an unpaid adviser to Kagame, but some now question the closeness of Mr Blair and other western leaders to Rwanda's president.